AMINEF is an Indonesian foundation, or yayasan, registered with the Ministry of Law and Human Rights according to the 2009 Law on Foundations, and is governed by equal numbers of American and Indonesian citizens who serve the foundation as trustees, supervisors, and managers. AMINEF was originally established in 1992 according to a Memorandum of Understanding between the Governments of Indonesia and the United States (which MoU is continually updated), to become one of the 50 Fulbright Commissions worldwide; it manages the Fulbright Program and other international educational exchange programs in Indonesia. Principal financial support for the Fulbright Program in Indonesia comes from an annual appropriation from the US Congress to the US Department of State, Bureau of Educational and Cultural Affairs (ECA). In FY2016, this appropriation amounted to approximately $7,500,000. 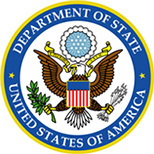 This was supplemented by other Department of State program funds, funds from the Indonesian Government, and from corporate sponsors, for a total of $11,400,000, which covered grants to Indonesian and American awardees, grant enhancement costs (such as training, orientation, language testing, outreach, etc. ), and administrative overhead (currently calculated at 7-8 percent). The Indonesian Government is and has been an active partner in support of AMINEF, providing both direct and, occasionally, in-kind support. 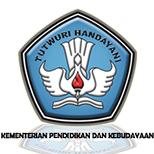 For instance, the Indonesian Ministry of Research, Technology, and Higher Education funds a special program for current lecturers at Indonesian universities who receive Fulbright Awards for Indonesian Lectures (RISTEK-DIKTI) for graduate study, doctoral dissertation research, or postdoctoral research in the United States. AMINEF also works closely with the Indonesian Ministry of Primary and Secondary Education and Culture and the Ministry of Religious Affairs, especially on the US Fulbright Student English Teaching Assistant program. A special program that provides grants for graduate study in the US to staff of the Indonesian Ministry of Foreign Affairs has been carried out with funding and support from that Ministry for the last several years. The Fulbright-KEMLU Awards program is currently not accepting further applications, however. AMINEF has been fortunate over the years to receive support from the private for-profit and non-profit sector in Indonesia. Such sponsors have included PT Freeport Indonesia (1998-present), Putera Sampoerna Foundation (2008-2010), Casten Family Foundation (2008), and AmCham Indonesia (2008). 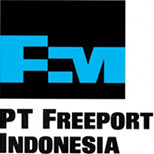 PT Freeport Indonesia in September 2016 signed a renewed Memorandum of Understanding with AMINEF, pledging $1,000,000 over five years, 2016-2020, to allow nine residents of Papua and Papua Barat per year to take part in the Department of State’s Community College Initiative Program, managed by AMINEF, in which they spend an academic year at an American community college. With this latest commitment, Freeport will have given over $3.5 million dollars, thus becoming the largest private corporate sponsor to the Fulbright program and other programs run by AMINEF in Indonesia. From 1998 to 2016, 62 students from Papua and eastern Indonesia have received scholarships to study in the US through the AMINEF-Freeport Indonesia scheme: 26 studied for MA degrees and 36 students in the CCI Program. AMINEF also receives funding from the US Department of State, either through the US Embassy or through ECA, to sponsor such non-Fulbright programs as the Hubert H. Humphrey Fellowship Program for Mid-Career Professionals, the Fulbright Distinguished Awards in Teaching Program for International Teachers (Fulbright DAI – formerly known as ILEP), the Community College Initiative Program, and the Global Undergraduate Exchange Program. 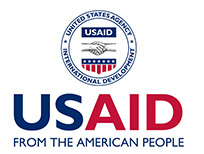 For several years, USAID Jakarta collaborated with AMINEF in a program to fund qualified Indonesians to do master’s degrees in agricultural studies in the US, but the program is no longer receiving applications. Beyond funding partnerships, AMINEF has important working relationships with many institutions in the US and Indonesia: EducationUSA, @america, and Regional English Language Office, run by the Public Affairs Section, US Embassy; the Institute of International Education (IIE) in New York and the Institute of International Education Foundation (IIEF) in Jakarta; the Council for International Exchange of Scholars; the Embassy of the Republic of Indonesia in Washington DC; American Institute for Indonesian Studies (AIFIS), in Jakarta and Ithaca, New York; USINDO, the United States-Indonesia Society, Washington DC and Jakarta; American Chamber of Commerce in Indonesia, Jakarta; American-Indonesian Chamber of Commerce, New York; the Putera Sampoerna Foundation; the Voice of America; and with numerous universities, research institutes, and local foundations throughout the country.